Our au pairs used to do both Edda's and Vince's laundry. Lucky kids (and lucky us) they got nice, clean folded clothes all the time. But now that era of luxury is over. We took over Edda's laundry and Vince was instructed to do his own laundry. 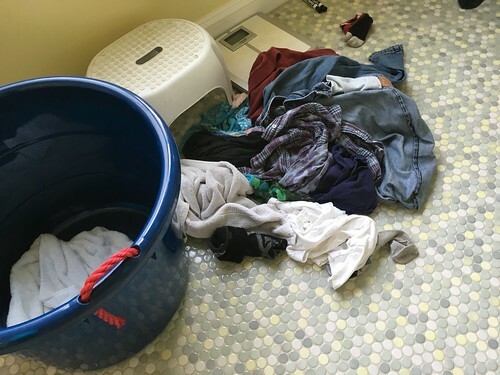 I introduced him to the washer and dryer, the laundry detergent and the theory of sorting clothes by color and we did the first round of laundry together. He was proud that he was adulting. Then 4 weeks passed by. I would remind him to do laundry every weekend or so. No laundry was being done. I did not do any of his laundry. I did not buy him new underwear. I can only imagine that he was wearing dirty underwear for a long time. This week, he managed to cycle through a few loads of laundry, which is good. 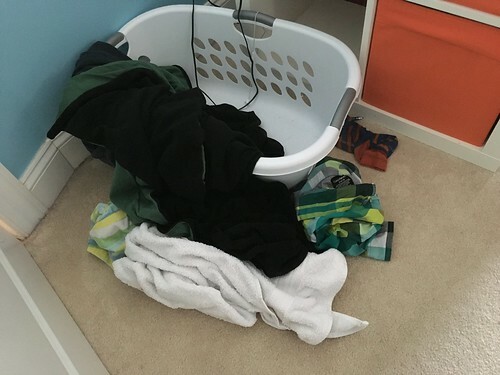 But then he declared that he was done with all the "summer clothes" and that he didn't need to wash any of the dirty sweatshirts or sweatpants that were in the bottom of the pile because it's not cold. I told him it was not OK to leave the winter clothes dirty for 6 months waiting for cold weather to come. We are still discussing this point. 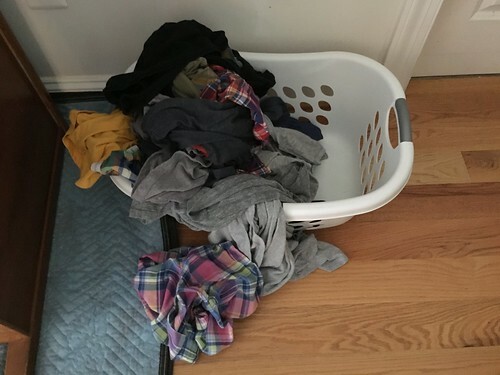 I just told Josh every Saturday morn his laundry must be done, no tv, games, friends etc. until that chore was complete. AND, it could not left in the washer to tie up other peoples laundry (then that way by Sunday hopefully was done). Good luck!